Introduction: There is a dearth of data on effectiveness-assessment of community interventions regarding the adherence improvement among children with epilepsy (CWE) in outreach financially-poor settings. This study was therefore designed to determine impact of integration of childhood epilepsy into primary care to improve the level of adherence to antiepileptic drugs and the factors that are associated with non adherence. Objectives: This study was designed to determine the effectiveness of interventions through free community childhood epilepsy center aimed at improving adherence to antiepileptic medication in CWE in an outreach financially constrained district. Methods: During this interventional study, 240 children (160 children being treated and followed in the free community primary care childhood epilepsy center and 80 children not being treated at this center) aged 4 months to 18years, diagnosed with epilepsy and treatment initiated with at least 1 AED for the past 3 months, were selected for data collection. The childhood epilepsy camps were held at local community centres provided open access, and no user fees or charges for medication were made. Local physicians, who were provided with special training and visiting paediatric neurology fellows carried out screening to help the three visiting paediatric neurologists confirming the diagnoses for data collection. 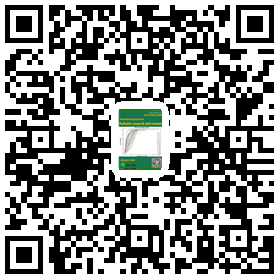 Data was collected by a questionnaire divided into three parts: 1) demographical information about patients 2) information about medication adherence profile using the Morisky Medication Adherence Scale-8 (MMAS-8), and 3) data on intervention-effectiveness of the community childhood epilepsy center (CCEC) on antiepileptic drug adherence. Ethical approval was obtained from the institutional ethics committee. Results: Among the 240 children and adolescents with epilepsy who fulfilled the inclusion criteria, 160 (66.6%) reported seeking treatment from TDBUCEC and 80 (33.4%) were seeking AED(s) from other sources. Age range was 04 months – 18 years while male to female ratio was 1.26:1. Adherence to antiepileptic drugs by self-report was found to be 85% (was 42% in 2014 without community intervention) among the children being treated, provided free AEDs with consultations and followed at the epilepsy center, whereas adherence was 37.5% among the children not being intervened by this center. There was no statistical difference in age and gender among these two groups. Conclusion: Majority of children had good adherence levels when supported and given free treatment in their own community. The best intervention strategy to improve adherence to antiepileptic medication among CWE is integration and implementation of childhood epilepsy in primary health care to provide free uninterrupted anti-epilepsy drugs (AEDs) and pediatric epilepsy consultations in outreach resource-constrained districts in Pakistan. 3. Malik MA, Shabbir N, Muhammad Saeed, H Malik, Adnan Mirza. Medication Nonadherence in Children with Epilepsy Attending Outpatient Clinics in Under-Resourced Community. J Pediatr Epilepsy 2015;4:72–79. 4. Dimatteo MR. The role of effective communication with children and their families in fostering adherence to pediatric regimens. Patient Education and Counselling 2004; 55(3):339-44. 5. Haynes RB, Ackloo E, Sahota N, et al. Interventions for enhancing medication adherence. Cochrane Database of Systematic Reviews 2008, Issue 2. Art. No. : CD000011. DOI: 10.1002/14651858. CD000011.pub3. 6. Dhikale T. P, Muruganandham R, Amol Rambhau Dongre. Perceptions of the community about epilepsy in rural Tamil Nadu, India. International Journal of Medical Science and Public Health 2017 ; 6(3) : 628-633. 7. Morisky E.D, Ang A, Krousel-Wood M et al. “Predictive validity of a medication adherence measure in an outpatient setting. The Journal of Clinical Hypertension 2008;10:348–354. 9. Modi A, Guilfoyle S. Adherence to Antiepileptic Drug Therapy Across the Developmental Life-span. In: Pinikahana J, Walker C, eds. Society, Behaviour and Epilepsy New York: Nova Science Publishers Inc; 2011:175-205. 10. 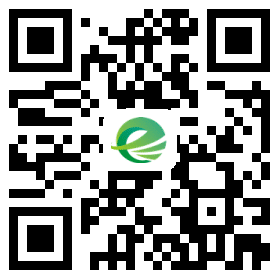 Tang F, Zhu G, Jiao Z, Ma C, Chen N, Wang B.The effects of medication education and behavioral intervention on Chinese patients with epilepsy.Epilepsy & Behavior 2014; 37:157-64. 11. DiIorio C, Reisinger EL, Yeager KA, McCarty F. A telephone-based self-management program for people with epilepsy.Epilepsy Behav 2009;14:232–236. 13. Simoni M. J, Huh D, Yan Wang Y et al. The Validity of Self-Reported Medication Adherence as an Outcome in Clinical Trials of Adherence-Promotion Interventions: Findings from the MACH14 Study. AIDS Behav. 2014 Dec; 18(12): 2285–2290. 14. Al-Faris EA, Abdulghan MH, Mahdi AH, Salih MA, Al-Kordi AG. Compliance with appointments and medications in a pediatric neurology clinic at a University Hospital in Riyadh, Saudi Arabia. Saudi Med J 2002; 23: 969-974. 15. Snodgrass SR, Vedanarayanan VV, Parker CC, Parks BR. Pediatric patients with undetectable anticonvulsant blood levels: comparison with compliant patients. J Child Neurol 2001; 16: 164-168. 16. Nazziwa R, Mwesige AK, Obua C, Ssenkusu JM, Mworozi E. Adherence to antiepileptic drugs among children attending a tertiary health unit in a low resource setting. Pan Afr Med J 2014; 17: 44. 17. WHO. Epilepsy: A Manual for Physicians. Geneva: World Health Organization. 2004. 18. Meinardi H, Scott RA, Reis R, Sander JW. The treatment gap in epilepsy: the current situation and ways forward. Epilepsia 2001; 42: 136– 149. 19. Scott RA, Lhatoo SD, Sander JW. The treatment of epilepsy in developing countries: where do we go from here? Bull World Health Organ 2001; 79:344–351. 21. Atadzhanov M, Haworth A, Chomba EN, Mbewe EK, Birbeck GL. Epilepsy-associated stigma in Zambia: what factors predict greater felt stigma in a highly stigmatized population? Epilepsy Behav 2010; 19: 414-418. 22. Gourie-Devi M, Satishchandra P, Gururaj G. Epilepsy control program in India: a district model. Epilepsia 2003;44(Suppl 1):58–62. 23. Berhanu S, Alemu S, Prevett M, Parry EH. Primary care treatment of epilepsy in rural Ethiopia: causes of default from follow-up. Seizure 2009;18:100–3.